What would the world be like without trees? There would be no trees for people to climb. There would be no shade for people on a sunny day. There would be no place for animals and birds to live. In fact, it’s very difficult to imagine a world without trees. However, with people cutting down healthy trees for their own purposes, and not considering why trees are important to people, animals and the environment. One of the concerns that people have about the environment and our Earth is the need for tree conservation. Basically tree conservation would be considered ensuring that trees are planted, maintained or saved for future generations. By preserving and protecting trees, we will ensure that trees will be a part of our lives for many years to come. There are many ways that people can help preserve our trees. They include making sure that if we cut down trees, we ensure that more are planted so that trees will be available for future generations. Also other measure to conserve trees would be to make sure they are healthy and remain a part of nature and are a part of homes for our wildlife. To learn more about tree conservation, feel free to review the following information. Tree Conservation Strategies – Useful article which lists ways that people are able to conserve trees. Tree Conservation – Overview of tree conservation programs and the reason why it is important. Tree Conservation Facts – Helpful page with facts for consumers on tree conservation. Tree Conservation – Informative page with a definition and information on tree conservation. Tree Preservation – Web site which helps educate the public about why preserving trees is important. The Benefits of Trees – Information for the public providing facts on why trees are important. Benefits of Trees – Useful article which lists many of the important reasons why trees are important. Benefits of Trees Information – Article which lists several key benefits of trees. Importance of Trees – Basic summary of several benefits of trees to the environment and to people. The Value of Trees – Helpful article with information on the different ecological benefits of trees. Trees and the Environment – Useful page which presents facts about why trees are important to the environment. Environmental Benefits – Web page which provides information on the environmental benefits of planting trees. Why Plant Trees? – Information on why tree planting is an important part for the environment. Tree Loss – Kid friendly page about the importance of trees to the environment. Environmental Benefits of Trees – Useful article about how the environment benefits from the presence of trees. Tree Conservation – Useful web page which provides home landscape ideas involving trees. 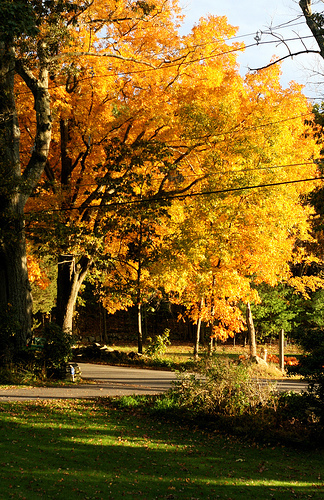 Tree Conservation Tips – Helpful information and tips for consumers about trees around the home. How to Conserve Trees – Overview for people presenting ideas on how they can conserve trees. Backyard Conservation – Informative web page from the USDA which provides tips that everyone can use to conserve trees. Tree Conservation Facts – Information on conserving trees with facts and ideas on how everyone can help. Green Tips – National Geographic page for kids which provides ideas for being green. Activities for Kids – Educational site with many hands on activities for kids to teach about conservation. Conservation Education – Informative page which provides information for kids on conservation education. Tree and Forest Facts – Information on trees, conservation and other important environmental areas for kids. Just for Kids – U.S. Forest Service page which contains a number of educational activities for kids. Tree Trimming & Pruning – Helpful trimming tips and pruning techniques. Tree Planting – Useful page which provides many helpful ideas and information on conservation. Tree Resources – Collection of resources and information related to trees and tree preservation. Online Tree Resources – Informative page from the Arbor Day Foundation containing a number of useful links. Tree Resources for Teachers – Resourceful page with information on a number of topics pertaining to trees and tree preservation. Environmental Education – Government website which contains information to increase public awareness about environmental concerns. We hope that this information has been helpful for you to learn what we can do to help protect our trees and to ensure that they are still around for future generations. Feel free to bookmark this page, use this on your own website or blog, or tell others about this information.